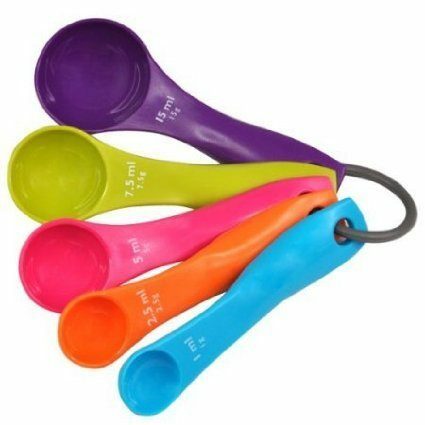 Cute + Colorful Measuring Spoon Set Just $2 + FREE Shipping! You are here: Home / Great Deals / Amazon Deals / Cute + Colorful Measuring Spoon Set Just $2 + FREE Shipping! Need some new measuring spoons? I have a GREAT deal for you – get this Cute + Colorful Measuring Spoon Set for just $2 + FREE shipping! Hanging ring keeps each nesting set together for storage and separates for easy use and washing.